Tin wares shop in 18th century France. Home » Tin wares shop in 18th century France. 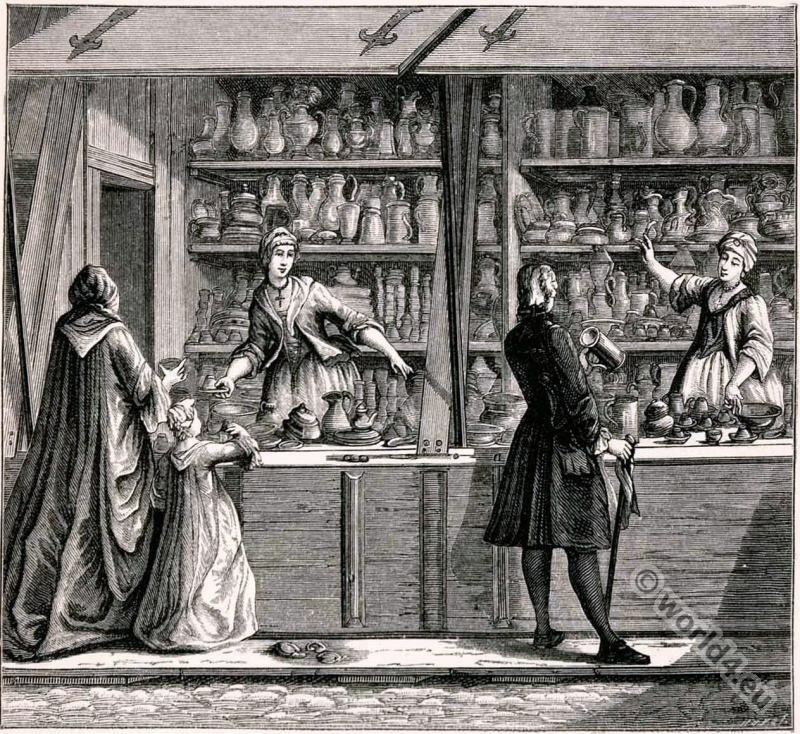 The figure shows the establishment, vendors and buyers in a tin store. After Christoph Kilian (1709 – 1781). Fashion in the of reign of Louis XV. Rococo fashion in the Reign of Louis XVI. This entry was posted in 18th Century, Ancien Régime, Baroque, France, Rococo and tagged Baroque era on 8/9/15 by world4.